>> During the month of March, Women AdvaNCe will explore the minimum wage and its effect on North Carolina women and families. We will explore a different aspect of minimum wage each Wednesday, beginning today with an overview. During his recent State of the Union address, President Obama called on states to raise compensation for their lowest paid workers. Although several states have made moves in this direction, many North Carolina lawmakers remain stubbornly opposed, claiming an increase in minimum wage would artificially inflate salaries and cause trouble for businesses. A recent Congressional Budget Office report on raising the minimum wage offered conflicting information: although it cited many positive outcomes to an increase, it listed drawbacks as well. The truth is that although the minimum wage is a complex subject, most economists agree that raising it will lead to financial growth—both for families who rely upon lower-paying jobs and for the economy as a whole. Here are five facts about the minimum wage in North Carolina that might help clarify this difficult issue. >>The majority of minimum wage workers are adult women. A common misconception is that the only people who work for minimum wage are teenagers and the elderly. In fact, women make up 60% of those earning $9 an hour or less in North Carolina– and many of those women support children and/or elderly relatives. Women of color make up a >>disproportionately high percentage of low-income earners. The minimum wage is not a living wage. In North Carolina the minimum wage is $7.25 an hour. A woman working full time at minimum wage earns $290 a week, or $15,000 a year.>> The federal poverty level for a family of two is just above $15,000 a year, which means that a single mom with one child working 40 hours a week with no sick days or vacation will live in poverty. A mother of two or more children might subsist at as much as $5,000 – $8,000 below the poverty level. Workers earning minimum wage rely on federal programs such a Food Stamps (SNAP), Medicaid, and the Earned Income Tax Credit to supplement their low pay. North Carolinians want to increase the minimum wage. According to the>> Center for Public Policy Polling, more than 57% of North Carolinians support raising the state’s minimum wage. Unfortunately, NC lawmakers are on a different page. NC House Speaker Thom Tillis>> recently said that he would like to eliminate the minimum wage altogether in favor of letting the free economy set employee pay. While this extreme position has been echoed by other politicians, no move to end minimum wage should be expected in the near future. An increase to employee paychecks would benefit the North Carolina economy. Although some pundits worry that raising employee pay would pass on undue costs to the consumer,>> evidence shows that the stimulation to local economies balances out any cost increases. Families making a living wage will spend more than $750 extra each quarter on consumer goods, and will rely on fewer social programs. The Congressional Budget Office Report said that raising salaries may cause layoffs. However,>> many economists say that job loss estimates were inflated in the report, and instead predict long-term economic growth — including in the job market — in the wake of higher pay. The minimum wage has not kept pace with inflation. In the last 30 years, Congress has raised the minimum wage only three times. Adjusted for the passage of time, the minimum wage in 1968 would amount to $10.70 in today’s dollars. For those in tipped professions, such as servers and bartenders, the discrepancies are even worse. 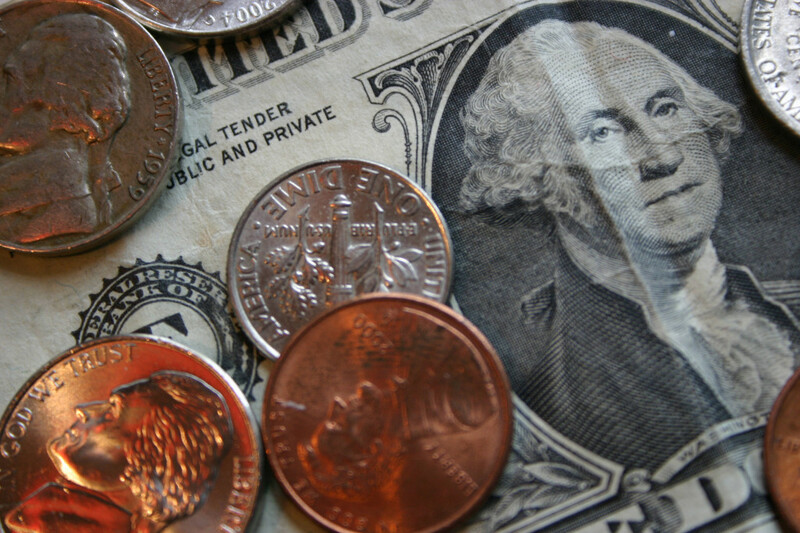 Tipped workers today make $2.13 an hour– which amounted to 31 cents an hour in 1968. In North Carolina wage disparities among the richest and the poorest continue to grow. From 2009 to 2011, those in the top 1% experienced a 6.2% increase in wealth while the lowest earners>> saw their income drop by nearly 3%. Many companies, such as Costco and Gap, pay their workers a base salary of more than $10 an hour, but millions of workers are still trying to pay bills in 2014 with amounts of money that would have barely kept the lights on decades earlier. Even if Congress doesn’t pass the President’s proposal for the wage increase, more than 19 states have minimum wages higher than the federally mandated $7.25 an hour. If North Carolina doesn’t keep pace with its neighbors, competition might mean we lose workers to states with higher pay, better benefits, and more progressive policies. Ensuring every family who works can thrive in North Carolina isn’t just good policy; it’s essential to retaining high quality workers and attracting companies to the Tar Heel state.